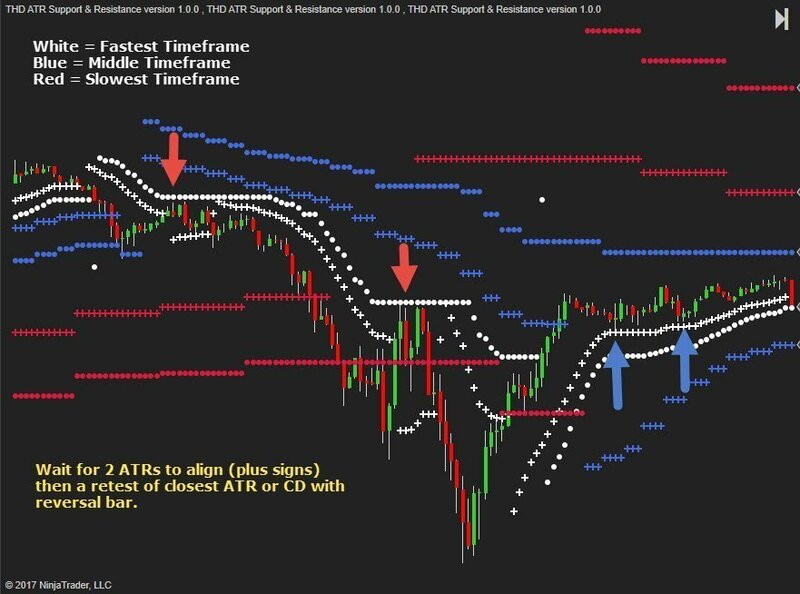 THD ATR Support and Resistance Indicator TradersHelpDesk ATR Support and Resistance indicators combines the support and resistance based on average true range from three different timeframes onto one chart. This makes trading multiple timeframes much easier for any trader. By following the multiple timeframes you can actually decipher which support and resistance level will most likely be tested and identify the "sweet spots". The sweet spots are areas where there is nothing in the way of price moving to a new area. The indicator comes with the indicator file, workspace and documentation.